Our guide was most excellent and exceptionally knowledgeable of the Kolomensoye Estate. This is a must see when in Moscow ! We were the only ones to sign up, in essence a private tour. Lenna not only gave us great historical information but lots of great insights into Russian people and culture through the ages. The metro stops have to be seen to believed truly spectacular! Kolmensoye was a bit chilly with fresh fallen snow, but very serene. All in all, a really great day! This tour was by far the highlight of my trip to Moscow. The guide we had was incredible and thorough and the experience from beginning to the end was fantastic. I highly recommend this tour! 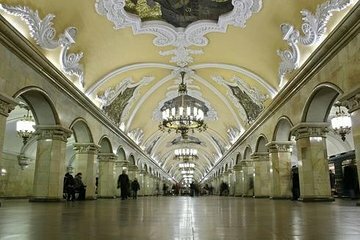 One cannot leave Moscow without seeing the subway stations! They are nothing short of magnificent! Very much enjoyed the tour. 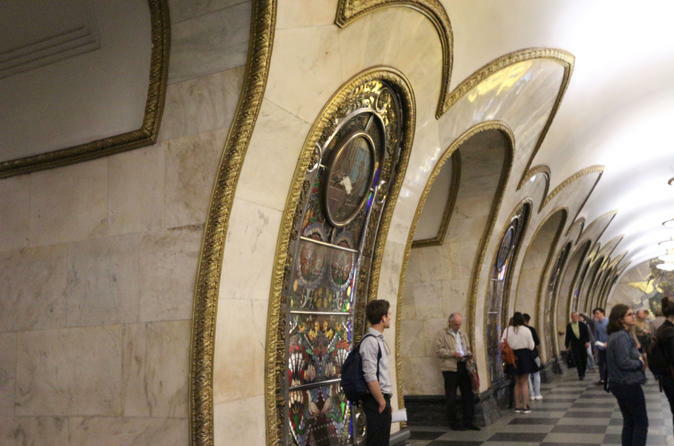 The Moscow Metro stations are true works of art and the Kolomensoye Estate was amazing! I skipped an organized tour with my group in order to take this tour. Lovely guide -- a great day out! The tour was fabulous. All my expectations were met and we were thrilled with the Viator Experience. We had a very knowledgeable guide who was keen to help us make the most of it. The Metro tour was lovely as was Kolomenskoye Estate, however I wish we had the chance to visit the Church of the Ascension as well, which was the most unique building in the large park. If it had been on the tour agenda, I would definitely give this trip 5 stars! Still enjoyed it immensely! Excellent private tour! We lucked out. It was nice to get off the tourist track and head out to Kolomensoye Estate. Our guide was amazing and very generous with her time too! This tour was excellent and exceeded our expectations in terms of the amount of remarkable things we saw and the attention and knowledge of our guide and there were only two of us on the tour. The Metro stations have a very impressive array of art museum quality and the history and stories the art tells need a guide to totally appreciate. Each station has different art and the stations are clean with no graffiti. We then walked about 20 minutes to the Kolmensoye Estate which is on a hillside with great views into downtown Moscow. At the end of the tour, our guide stayed with us on the Metro to the station closest to our hotel. Such service. As a daily metro user at home, this was a great tour of beautiful stations and the history of soviet propaganda.